Singapore Fried Hokkien Mee @ Whampoa 新加坡炒福建虾面 – Missing the wow. 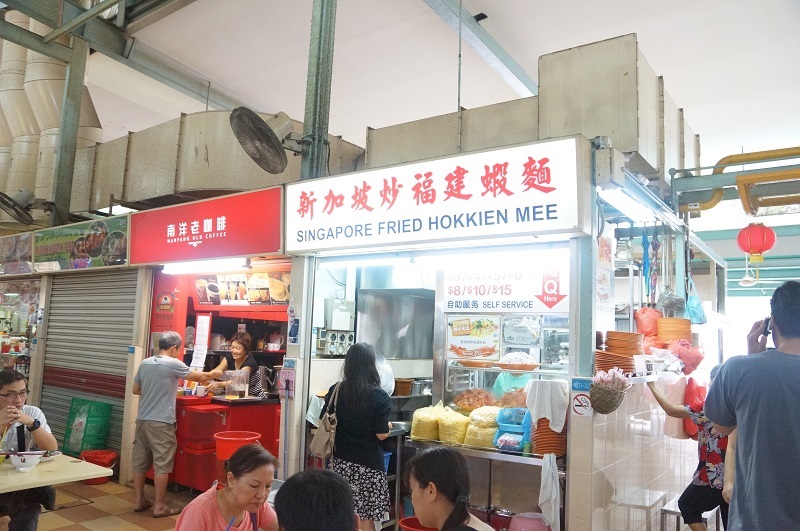 You may realise we are churning out more frequent reviews on fried Hokkien Mee in recent weeks, part of the reasons are that we are on the mission to identify the best fried Hokkien mee in Singapore, since this is one of the more rave about Fried Hokkien Mee stall in Singapore, you can’t really miss it out in your coverage. We went there way before the peak lunch hours to avoid the crazily long queue, a good move but sometime come with a risk of compromising the quality knowing the challenges of frying Hokkien mee. Why is that so? Fried Hokkien mee usually prepared by batch, each time the hawker will throw in huge amount of noodles and stock to fill up the big wok, fry it, cover the lid and stew the noodles for a specific time, the half cooked noodles will then set aside and further cooking will take place based on orders. Additional seafood, vegetable and more stock will then added to produce the final plate of the fried Hokkien mee. 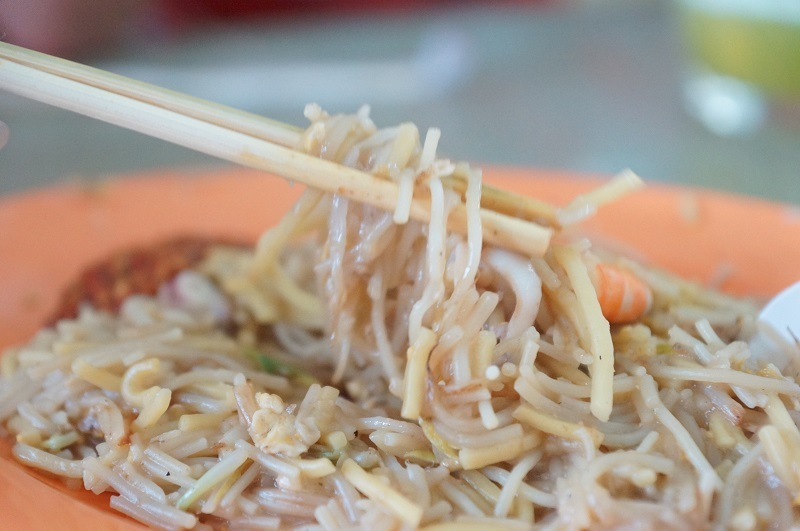 Here comes the challenge, if you are served the first half of the mee, the plate of the Hokkien mee will usually not as tasty as those compared to the second half of the mee. This is because the extra time given to those mee that set aside actually helps to accentuate the absorption of the flavour into the mee, a good Hokkien mee stall can sometime being criticized for the inconsistency in taste for this reason. 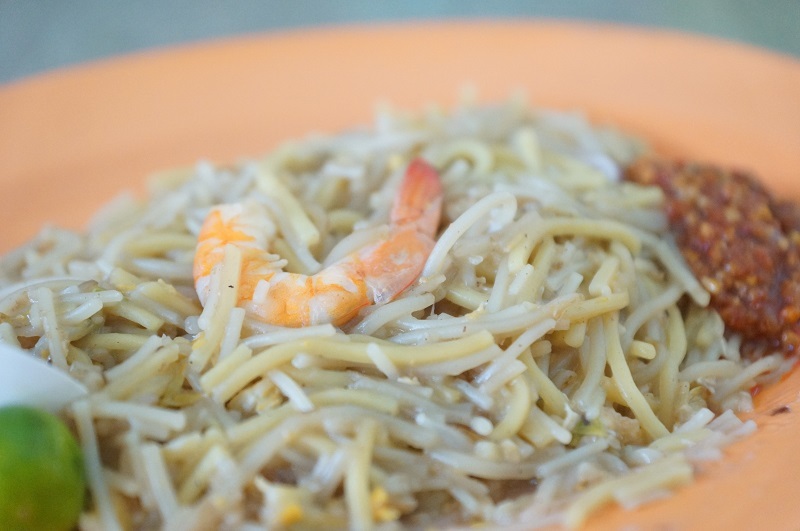 Singapore Fried Hokkien Mee serves the gooey version than the dry version of Hokkien mee. Undoubtedly, it is the seafood flavour from the stock defined the great taste of a Hokkien mee, unfortunately we were the first few in the queue for the first batch of cooking and that could explain the issues with the plate of the Hokkien mee we ordered. It lacked of the wok flavour and further discounted by the missing seafood flavour which was not distinct though the texture of the mee was fairly good. We have seriously relied on the sambal chili to elevate the overall taste. Our verdict, the final result from Singapore Fried Hokkien Mee may not be satisfactory for a plate of glorious slush mee we hoped for, however, we hope this was the pure luck that the timing of our visit was not right, till then, our reservation of the fried Hokkien prawn mee still stand.